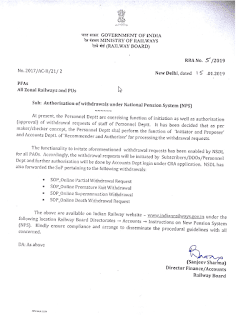 At present, the Personnel Deptt are exercising function of initiation as well as authorisation (approval) of withdrawal requests of staff of Personnel Deptt. It has been decided that as per maker/checker concept, the Personnel Deptt shall perform the function of initiator and Proposer’ and Accounts Deptt. of ‘Recommender and Authoriser’ for processing the withdrawal requests. 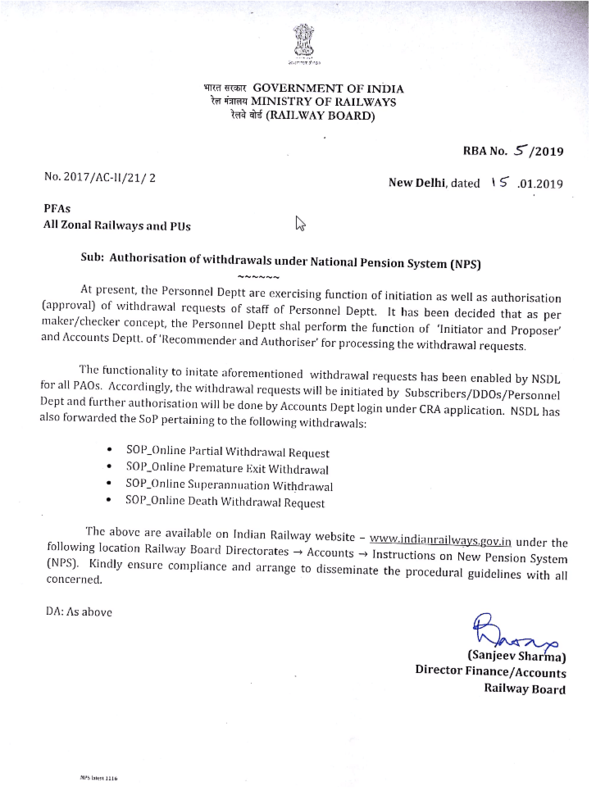 The above are available on Indian Railway website – www.indianrailwayszoy.in under the following location Railway Board Directorates => Accounts => Instructions on New Pension System (NPS). Kindly ensure compliance and arrange to disseminate the procedural guidelines with all concerned.